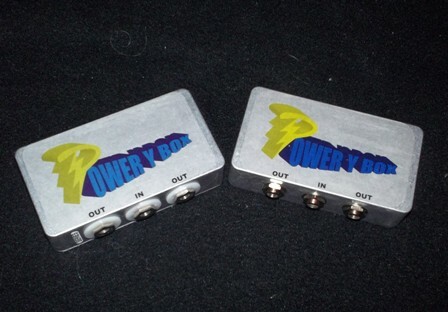 Our Power Y Box is a handy spin off of our very popular Y cables. Made with an all aluminum box, this speaker splitter will take the output from your amp and split it to speakers jacks. This high quality box is wired with 12 gauge cable and high quality jacks. One input jack going to Two output jacks. Supply your own speaker cables or pick up a set of our high quality heavy gauge cables that will match the wire gauge of the box. This is a no frills box, plain unpainted aluminum with 1 input and 2 output jacks, simple, effecient and reasonably priced. Available in standard Parallel or optional Series wiring.